“The asbestos epidemic kills one person every two hours in the United States, one every four hours in the United Kingdom, three every day in Italy and Germany, two every day in France, Japan, Australia, and one a day in the Netherlands”: Boggio (2013). Most of the world asbestos commerce corresponds to the raw material itself and to the main product which is produced with it, the ones produced with cement-asbestos. This worldwide commerce, which presupposes a shipping from the origin to the consumption or production spots, includes a maritime shipping to a greater or lesser degree: Scott Frey (1998) & (2006). Asbestos docking in the ports, as a raw material or as the main product elaborated with it, with its operations of loading and unloading and intermediate store between the extraction and the final consumption, is a key element in this commerce and, thus in this use. Would it be ethically and logically justified for the union trades to demand from their members, the port workers, an attitude of complete, irreversible and definitive boycott against the use of asbestos in any of its forms worldwide? In order to be able to solve the problem, the first step is to recognize it. It seems out of question the fact that since several years ago, the list of countries which have adopted a prohibition of all varieties of asbestos, including chrysotile, has come at a standstill in more than a half hundred countries and evidence that this situation will change is not noticeable because it has only been achieved a market reorientation, increasing its consume in the countries where the prohibition has not been adopted. This has happened although the tenacious and willful work of all the people, union trades, victim’s associations, ecologists, activists and public health experts, who have opposed their arguments in several forum and media in front of the torrent of distortions, truncated studies, falseness and unjustified attacks in their countries, which with the chrysotile industry has victoriously faced this effort to cancel their criminal industrial activity. Nowadays, either if the look at the geographic extension of the unprotected territories or we look at their population numbers, we will see that most part of the humanity is still under the permanent, current and future threat that supposes this absence of prohibition. This is framed in a generalized situation of secrecy, total opacity sub-register, under recognition, distorted pro-chrysotile advertising and almost total absence of disputes motivated by the pathologies and deaths originated because of asbestos exposure. It is appropriate to question why there is an almost absent existence of disputes about the issue mentioned before. For information about it, see: Linetskaya (2014). Regarding at this topic, it is appropriate to mention the words by Laurie Kazan-Allen when she reports the fact that it is strange that the Russian chrysotile, whose extraction and industrial use turn out to be so innocuous in Russia becomes damaging when its border is crossed, causing diseases all over the place. Regarding at Canadian chrysotile exportations, the situation was well characterized when the journalist from the newspaper “Globe and Mail”, Martin Mittlesaedt, related the number of 90.000 people who will die every year from asbestos related diseases (according to the World Health Organization estimation, which was done at that moment) and the average of the quantity of the compensations in the United States, which was valued in one million US dollars per each worker who died from mesothelioma, asbestosis, etc. and, on the other hand, the 93 million dollars which Canada was obtaining per year in for the chrysotile exportations. It is important to mention the fact that if these annual incomes would be used to pay the economic responsibility, they would only reach 93 of the 90.000 workers who were losing their lives because of asbestos every year. This reflection should be considered when thinking about what our proposal presupposes: all asbestos judicial claim should include all the demanded companies which dedicate to mining and asbestos exportation. Logically, it makes no sense what it is done nowadays: to demand the companies but leaving outside those which are in the origin of the problem: those ones which place the cursed mineral in the world market by extracting and processing it for its commercialization. We promote this step, knowing that it would be impossible for these demands to prosper due to the lack of territorial jurisdiction. However, we propose it because this accumulation of failed demands would reveal the need of an International Court for the trade association responsibilities which derivate from the work in general, or at least, the work which corresponds to the industrial use of asbestos particularly. Hypothetically, if this impediment would not happen, it would be enough a little part of these claims to prosper to the economic survival of asbestos mines to be unsustainable. If asbestos mining would turn to be the civil subsidiary responsible of the worldwide compensations of the favourable sentences to the plaintiff part in their respective asbestos disputes would be achieved, this effect would rapidly have consequently the immediate stoppage of the extraction because the compensations which should be paid would overflow the generous dividends which currently, this criminal activity gives to the receivers of this income which has such a dirty origin. This fact has become more than a simple punishable negligence, with the result of the death of hundreds of thousands of human beings, year after year in the whole world. With this consequence, which derives from each successful judicial action, an equivalent effect to the one looked for by a universal prohibition of asbestos use would be achieved. A similar effect would be obtained if all or almost all the port dockers main trade unions would reject to continue being involuntary part of a criminal market worldwide. Reflecting the situation into a metaphor, it would be to hit upon the Cyclopes’ eye, in the pupil of this second Polifemo, which would be the chrysotile lobby in this comparison. We do not have to forget the chase of all the activist labour that has been developing with the same goal: to achieve the worldwide prohibition of asbestos. The description of some examples of situations of border permeability to the limitations which theoretically are imposed by the protection of a prohibitionist non-universal legislation will allow us to get into the analysis of companies, nations, circumstances, etc. To do it, we will principally use the content of the work by Roman Shleynov (2010), which is included in our bibliography, complementing it with some own contributions. Our first example refers to the case of the company “C.J. Petrow & Co. (Pty) Ltd”, based in South Africa since 1954, and with offices in London, Geneva, Athens, Singapore and Tokyo, and which is dedicated to the mineral fibres commerce. It is integrated in the Petrow Group and it belongs to the company “CJP International”, which also includes “Ural Marketing Services Ltd”, based in Moscow and dedicated to the exportation of chrysotile, which is produced by Uralasbest mine. Curiously, the word “chrysotile” will not appear in any of the web pages of these companies, it will be masked under the generic concept of “mineral fibres”. Only in Russia, the annual number of deaths by chrysotile exposition was ten thousand four hundred, according to Ginevra headquarters of the International Labour Organization: Shleynov (2010-2 ref.-). Officially, the Russian subsidiary would be the one which processes the exportation, under the supervision of the holding, whose headquarters are in South Africa, which is not an impediment for the rest subsidiaries to act just like other commercial tentacles, capturing the selling of chrysotile in the most diverse geographic areas. The fact that they can do this, does not mean that it is demonstrated that they do it. It seems evident that the Group was initially created in South Africa, with the heat of the extraction settlements and the free commerce of the several types of asbestos, which were not banned then. The posterior prohibitions in South Africa, first of crocidolite and after also of amosite and chrysotile, as well as the other types of a minority use, did not avoid the central headquarters to keep on working for the same type of commerce and with subsidiaries based in countries where the prohibition is also present: United Kingdom, Italy, Greece, Japan and Singapore. It turns to be impossible to act against these other subsidiaries, no matter if there are coverage laws or not. Until it is not demonstrated, these other subsidiaries are dedicated to the commerce of other minerals, which do not have any relation with chrysotile. Only from the central headquarters in South Africa, it seems to be theoretically exposed to a kind of prohibition that might be implemented. It is difficult to determine the property of the major producers of asbestos in Russia- “Orenburg Minerals”, followed in importance by “Uralabest”-, the same happens with “Kostanai Minerals”, from Kazakhstan. However, it is true that both companies, “Orenburg Minerals” and “Kostanoi Minerals” were managed by a British firm since 2003: “United Minerals Group Limited”. The name of the company changed in 2005 to “Eurasia FM Consulting Ltd.”, even though the fact that this company with its new name continues with both operations is not clear. However, what it is confirmed is the fact that in 2004, “United Minerals Group Limited” controlled 30% of the worldwide chrysotile commerce. “Eurasia”, which is based in the English city, Leeds, has only one stockholder, the firm “PL Company Nominees Ltd.”, which shares the same address as “Eurasia” itself, and was founded by the British businessman Michael Levine, with important interests in Siberia and Kostanai, Kazakhstan. Therefore, it is evident that the extraction, commerce and shipping prohibition of chrysotile which is valid in the United Kingdom, does not state for the cross-border activities of its companies: double standard. This is why, the prohibition laws turn out to be pure “fiction-politics” that has no relation with the international subjacent reality. At the same time, a company based in Cyprus, “UniCredit Securities International Ltd.”, which belongs to “UniCredit”, one of the biggest banking group, with ten thousand branch offices in fifty countries. It has also got interests in both extracting chrysotile companies, “Orenburg Minerals” and “Kostanai Minerals” with the name of costumers whose identity has not been revealed neither the nationality nor their home country. The opening of this Pandora’s box would offer many surprises. When Cyprus enters, as it is expected, to the European Union, the community legislation about asbestos would have to move nationally to this country. From this moment, if the already mentioned situation was maintained, we would see another example of the double standards. The role of the big banking in all the corporative framework of chrysotile would have the power to be the object of all specific study dedicated to the mentioned aim. “Kostanai Minerals” financial registers show transactions with, at least, nine companies which have their headquarters in the United States and which are registered in Delaware, Colorado, New York and Oregon. The biggest one, which is currently extinguished, was the company “Asters Investments LLC”, which has its headquarters in Eugene, Oregon and who bought more than 48.000 tons of asbestos to “Kostanai Minerals” in 2004. In 2006, “Asters” did several businesses which cost more than a million dollars with a Ukrainian distributor of asbestos, which was related to both mining companies, “Kostanai Minerals” and “Orenburg Minerals”. This information is explained according to a report to the investors in April 2006. The most important distributor from “Kostanai Minerals”, the company “United Minerals Global Trading”, which was registered in London in 2002, bought in the same year, 152.000 tons of chrysotile, according to the mentioned report to the investors. The name of the company was changed to “Minerals Global Trading” in 2004 when it purchased 5% of asbestos production of “Kostanai Minerals”. The asbestos was sent to India, China, Iran, Turkey and Vietnam. To sum up: decisions which determine that fact that contamination and death continue expanding to non-occidental countries are taken in London. In 2008 and 2009, “Kostanai Minerals” and “Minerals Global Trading” did business which cost millions of dollars. In the same London address, dozens of companies are registered. However, it has been impossible to know if they shared owners, directors or stockholders with “United Minerals Global Trading” or, with its current name, with “Minerals Global Trading”. Opacity seems to be the rule in this case. The financial support to chrysotile mining is not limited to the external: “Kostanai Minerals” has received support from the banks which are controlled by the State, in Russia and also in Kazakhstan. In March 2008, the “Sberbanck” from Russia gave to the company a loan of 3,6 million dollars. In 2007, “Kostanai Minerals” also received a loan of 2.9 million dollars from the “Bando de Desarrollo de Kazajstán”(Kazakhstan Development Bank). On the contrary, “Uralasbest” is a little bit more transparent. In fact, according to a report of the company, in March 2010, the main managers of the company, with a 38% of participation belong to two groups; one with its headquarters in Johanesbourg, South Africa: “CJ Petrow Group”, with which we have dealt with in its condition of asbestos importer and which had approximately 14% of the property, at least until 2003. The other one, “Marvol Group”, which is set up in Germany and with offices in Cape Town (South Africa), Amman and Moscow, controlled approximately 7% of “Uralasbest”, at least until 2006. Their activities with “Uralasbest” have started in 1992. This firm, which was founded in the 1980s, by the dentist Marcos Voloshin, has its expansion opportunity in a sale of military Russian equipment to South Africa, in the opportunistic and unstoppable capitalism emergence after the breakdown of the Soviet Union in 1991. In 1997, when the biggest asbestos Russian mine, “Uralasbest” was privatized after a bankruptcy statement, the company restarted again its activities through this sale of private resources thanks to the private resources in Russia and also to the German investors: Maesili (2007). Chrysotile was already prohibited in Germany since 1993. In “BRITISH ASBESTOS NEWLETTER”, ISSN 147-8108 Summer 2012, the report titled “Annual Parliamentary Asbestos Seminar” and quoting as a source “SOMO-Centre for Research on Multinational Corporations”, it was informed that some British companies, including banks and financial institutions, were investing in asbestos industry in India. They mentioned specifically well-known European financial entities, including: “Prudential Plc” (as a part of “Prudential ICICI Asset Management Company)”, Jupiter Global Active Fund/South Asia Investor”, “Barclays”, y “HSBC Bank”. (See on: http://www.britishasbestosnewsletter.org/ban87.htm). 1) – SANTANDER ASSET MANAGEMENT(LUX)S.A. – It is a funding consultant based in Luxemburg (a country which has the double condition of being a tax heaven and a member of the European Union at the same time). It belongs to the Spanish “Banco Santander” and it manages, for example: “Sant Latin Amer Corp Bd A Cap”, “Sant Latin AM Equity A Cap”, “Sant AM Latin Am Equity B Cap”, “Sant AM LatinAmer Fixed Inc A”, “Sant AM LatinAmer Fixed Inc B”, “Sant Brazilian Short Dur A”, “Sant AM Brazilian Equity A Cap”, “Sant Latin Amer Small Caps A”, “Sant Latin Amer Small Caps B”, “Sant Brazilian Short Dur B”, “Sant AM Brazilian Equity B Cap”, “Sant AM LatinAmer Fixd Inc AE”, “Sant AM Brazilian Equity AE”, “Sant Brazilian Short Dur AE”or “Sant Latin Amer Corp Bd AD”. Either in Luxemburg and also Spain, asbestos is prohibited because of their belonging to the European Union. 2) – Reil & Cie S.A. – Headquearters in Switzerland, a nation which has also prohibited asbestos. 3) – Schroder Investment Management Ltd. (SIM). It is based principally in Denmark, which is a member of the European Union. This is why, chrysotile is prohibited. On its web, we can find an allusion to the “social responsibility” of the company. 4) – Quoniam Asset Management GmbH – It is one of the greatest active consultants in Germany, which is also a member of the European Union and has also prohibited asbestos. This cases are minority capital participations of the company. This is an example of one of the features of the modern finances: they are generating environmental damage and also damage to people’s lives. However, behind an impregnable veil of an impossible uprising, we can see the final addressees of the capital gains which are generated by a polluting activity. No matter if a country prohibits this activity. The dividend flows jump over barriers without any distinction between national areas, which have an asbestos prohibition. The official “bastards” are: Russia, Brazil, Canada, etc., but the governments who look away are much more. This reflection is also valid for those companies whose fabrication or commercial object is not the one of the fibre, but the one with products elaborated from it. Moreover, another circumstance that should be considered is the fact that they have headquarters in countries where asbestos is prohibited and at the same time they have subsidiaries in permissive nations, where the production is concentrated and they export to other places where the use, shipping and traffic of asbestos goods is banned. In Carrera Modrego (2006) the author shows: “The relocation of companies which do not belong to the European Union to escape from asbestos responsibility in their origin countries should not be permitted any more”. Then, we will add: “The European Union should promote an investigation about the present and past activities of the multinational asbestos companies and its subsidiaries”. These are situations which are promoted by the non-universal asbestos prohibition by the authorities of the nations which would adopt the already mentioned prohibition. The service which is offered is a possibility to access to a report in pdf, whose content is summarised in the mentioned advertisement, from which we extract a paragraph which will allow us to make a clear idea of its total content. It is said that the report “is useful to anybody who wants to invest in the asbestos-cement transformation industry…”. This is the way in which from a company headquarters based in the European Union a tool to contribute to the expansion of this lethal industry, which is prohibited in the country where the headquarters are based is offered to keep on with this murderer activity in an extra-community country, whose local authorities protect this situation of vulnerability. The existence of these national prohibitions does not avoid the existence of governments, who belong to these prohibitionist nations, who support a double standard politics: promoting outside the barriers what they prohibit inside. For example, the current Spanish government which embraces an advertising file of the company DURALITA, which produces products with asbestos-cement and which is linked to the Eternit Group, in the official web of its Commerce Camera of El Salvador. This file includes the direct access to the mentioned company, where we can find an advertisement of the so called excellences of a pretended “safe use” and “controlled use” of chrysotile which would make it innocuous. This statement contradicts the most primitive scientific evidence. A Commerce Camera is not a governmental organization or institution and it does not have a direct importance when writing and approving laws or regulations which affect business as it is the case of the ones related to asbestos. However, it acts as a lobby group when it tries to influence when promoting laws which are favorable for the companies. Even though when Commerce Cameras are private entities, they are supported by a public financing which is given by the government from the country they represent. So, they participate in the public character because they are also an object of attention for the corresponding ministries from the country. A special case of asbestos presence in childish nurseries and public parks comes determine by the production of slides with asbestos-cement. These slides are or have been produced by the Salvadoran company DURALITA and have been exported, at least, to the United States and Argentina. This company, which is promoted by the web of the official Commerce Camera of Spain in El Salvador with a direct access in its web page, where we can find the hygienic excellences of chrysotile, is also related to other double-standards activities because the official organisation belongs to a country where there is an asbestos prohibition. This is also the case of Germany– -Deutsche Gesellschaft für Internationale Zusammenarbeit (abbreviated: GIZ), (in English: “International Cooperation German Agency”)- has not had any moral objection when making the asbestos-cement product production easy by reducing the power cost. Spain facilitates the commercialisation of asbestos-cement products and Germany helps reducing the production cost. Both are nations which have prohibited the use of chrysotile: double-standards. You can use what is bad for us and we will help you to do it. This is the way a decided bet for the renewable energies, such as the case of the solar energy, which preserves the environment and helps combating the climate change. Nevertheless, at the same time, it contributes to the damage of this environmental when helping to place on it high quantities of asbestos (this situation is more economic for the company, so it favors its competitive in front of other alternatives which do not produce asbestos). This provoques a risky situation for the health of the workers and their families, of the neighbours which live near the factories, and of the users of the final products, which include children who play with slides made of asbestos-cement. In addition, the non-Executive Board Members of the HSE used to have three trade union nominated positions and three employer representative positions. Recently six new non-Executive Board Members were appointed, including one recognised trade union nominee. The TUC had not been consulted — as it had been in the past — and it was informed that one of the employee representatives’ position was being given to a person from an employer background”. Everything we have said here about the companies is also valid for their owners, mayor stockholders, Administration Council members, CEO’s (executive directors) and other high responsibility positions. To understand the specific circumstances which allow the laxity when giving responsibilities the companies and its directors, the work by Harry Glasbeek (2003) is very clarifying and it is included in our bibliography. As we can see when reading it, we are in a situation which overflows the asbestos problem (but it includes it) and which concerns the structure of the capitalist system of the production and commerce organisation trough the companies legal armour or, more precisely: of its owners: the investors, stockholders and directors. Among them, of course, we cannot find any docker. In the past, dockers have been seriously exposed to asbestos effect. In Myers et al. (1985), the prevalence of asbestosis among dockers was 30%. In Greenberg (2004), the author reports “A total of 266 dockers were to be registered in the UK by 1999 as having died of malignant mesotheliomas”… See also: Stössel et al. (1972), Yates et al. (1997), Hodgson et al. (1997), McEwen et al. (1970), Puntoni et al. (1976). Eventually, mesothelioma has affected the wives of the dockers: Bolognesi et al. (2005). There have even been registers of cases of dockers who were using asbestos during all their lives, working full-time: Newhouse & Thompson (1965). As we are told in Lauiriola et al. (2012):“One job category which has got a high carcinogenic risk from asbestos are dockers, who are extensively and permanently exposed when they move, load, unload and store large quantities of material. Kreuzer et al. (1999) report: “In the younger age group, also roofers and dockers who had worked with asbestos materials proved to be a significant exposure group”. Occupational exposure to asbestos in stevedores has been a key factor in the case called “familial mesothelioma”, where two or more members of the same family are affected from this malignant asbestos-related pathology: Maltoni et al. (2000). Studying asbestos exposure by dockers is the aim of some published works: Nemo et al. (2009), Silvestri & Nemo (2014), Bianchi et al. (2005), Canepa (1949), Molfino & Zannini (1956). Dockers and lorry drivers who used asbestos loads acquired pleural plaques and pleural thickening: Hourihane et al. (1966). “Thousands of former Mersey dockers could have the right to claim compensation after being exposed to asbestos. In a landmark High Court ruling yesterday, judges found a government labour group was negligent in not warning them about the lethal dust. Two Merseyside claimants pursued test cases through the courts to win their right for compensation. They were awarded more than £164, 000 damages by Mr Justice Silber. Now lawyers say the floodgates could open for other claims. Ormskirk-based Winifred Rice lost her husband, Edward, to the asbestos-related cancer, mesothelioma, in 2000. And 67-year-old Robert Thompson is suffering from diffuse pleural thickening – a disabling condition leaving him chronically short of breath – after working in Liverpool’s docks for 26 years. They hope yesterday’s ruling will mark the end of a nine-year legal battle. After a hearing in May, 2006, Lord Justice May ruled the Labour Board had a duty of care to dock workers, and that to do nothing was not an option. But the Government continued to fight the case and brought an appeal to the High Court last month. Both claimants were represented by solicitors from John Pickering and Partners’ Liverpool office. Partner Neil Fisher welcomed the judgment, saying: “Our clients have had to wait many years for their compensation as the Government fought the case every step of the way. From this text, we think it is appropriate to highlight two aspects: the first one is the confirmation of the fact that in several geographic places; in the United Kingdom, in Spain, etc., dockers are not only exposed to asbestos exposition, but also sometimes during a lot of years and eventually suffering from asbestos-related diseases which frequently results into their death. Moreover, at the same time, they have been seeing their compensation demands rejected, sometimes through implausible, twisted and trivial excuses. We will see this fact through our critic analysis of some judicial Spanish legal running; or at least this acknowledgement is seriously slowed down. See also: Fisher (2007). The second aspect is the obstructive factor that presupposes the criteria of the fact that the dockers demands should be directed against the naval companies. In Spain, this is different, a we will have the opportunity to deal with it. In the United Kingdom, until 1967, port workers were temporal workers underneath a hiring diagram of the “Junta Nacional de Trabajo en Muelles” (Dock Working National Committee), which was created by the government at the end of the 1940s to organise the port repair labor. Many dockers unloaded asbestos from the ships and this caused them diseased decades later. In the United Kingdom, the old port workers who suffered from asbestos-related diseases, have found it difficult or impossible to ask for compensations because of the identification companies of the companies which are responsible of asbestos: workers were frequently relocated daily or weekly to several naval companies which were normally insolvent or which have disappeared. So, their insurance companies cannot be located and have become insolvent. These problems have caused the death of dockers because of asbestos cancers without any compensation. This is what has led to reclamations against the government because it has got the role of supervisor and guard of the port worker’s health and safety. At the same time, in other geographic environments, such as Spain, similar problems have happened. Next, we analyse the fundamentals of the verdict included in the sentence STSJ AND 1780/2004, which corresponds to a case of death from mesothelioma of a worker who had worked as a loading and unloading clerk and he appeared as a worker in the Port Workers Organisation Census (currently organised as “Estigades, S.A, Sociedad Estatal de Estiba y Desestiba del Puerto de la Bahía de Cádiz (Estigades Co, Loading and Unloading State Society of the Cadiz Bay Port))” and had worked there since 1963 until 30th of April 1979, when he was recognised a permanent disability because of mesothelioma. The legal ruling is justified with the next arguments: “…it must be considered that the first Working Regulation which includes asbestos risks dates on the 31st of October 1984 and the death employee finished working in the company in 1976, – according to what it is written in the sentence of this Courtroom-. The permanent disability was declared in 1979, so it is not possible to demand to the company another behaviour at that time, therefore no fraud, no negligence and no fulfilment, which are essential assumptions to declare it responsible of the pretended compensation, can be seen. As the reported infraction, cannot be seen and with the dismiss of the asked appeal, it is confirmed the respondent judgement”. This dismissed declaration happens in the opposite direction of a wide quantity of Spanish judgements about asbestos which considered that apart from the specific legislation about asbestos, there was also since the 1940s a large number of rules referring to security and working hygiene which dealt with tasks related to the exposition of the mentioned mineral and which obliged to its strict compliance, which could have help to avoid the asbestos-related pathology. Briefly, we will avoid explaining what it is related to this legal issues, which has been repeated a lot of times in each one of these judgements. The same transnational character which, in general, the maritime commerce assumes promotes uncontrolled situations where dockers and other workers have been exposed to asbestos: “ABC” (2007). Eventually, the problems which have their origin in the destination in the loading and unloading docks, will be determined by a defective packing of the products which contain asbestos: Castleman & Vera Vera (1980). Indirectly, occupational asbestos exposure, which dockers have been exposed to, is evidenced through the high rate of mesothelioma in the port areas residents, according to what it is shown is medical literature: Bohlig et al. (1970), Dalquen et al. (1969) & (1970), Hain et al. (1974). EL AMIANTO, A JUICIO. El abordaje de la problemática del asbesto, en el Tribunal Europeo de Derechos Humanos (ASBESTOS TO COURT. An approach to the problem of asbestos in the European Court of Human Rights)/«Rebelión». 25/05/2015 http://www.rebelion.org/docs/199168.pdf . Therefore, it is even more bloody the fact that there are Spanish judicial decisions like the case of STSJ AND 12266/2015 (very recent, as it can be seen), and which corresponds to a case of a docker affected from mesothelioma. The decision was justified with the next arguments: “He demands, the art. 101 of the Civil Code and the laws since 1940, relate with the activities where asbestos is present and considering what was explained in the judgement, he should have the same consequences,” because it shows that the employee worked for the defendant between 15th of April 1974 and 14th of February 1994. His work only consisted in loading and unloading goods from the ships for one year. He did not work in any place where dust or asbestos particles could be found. He died on 14th of June 2013 because of a cancerous pathology, malignant pulmonary mesothelioma, which is a disease where malignant (cancerous) cells can be found in the pleura (the thin layer which covers the chest and the lungs) or the peritoneum (the thin layer which covers the abdomen and covers most of its organs), where asbestos exposure can have an influence in the risk, according to the National Cancer Institute, NCI, so without the prejudice to be a professional disease with a late appearance, it is necessary to prove the connection and the cause which determined the illness which caused his death. This has not been done in this case: it has not been proved neither that he worked with asbestos nor that asbestos influenced his disease because, as we have commented, it is only a possibility and to exempt of responsibilities to the defendants, it is necessary that the fact that the disease was caused by a reason which is different from the task that he did is clear in the historical account of the judgement, S. 18th January 1983. This could be summed up concluding that it must be considered as an occupational accident (professional disease) the one which happens in connection with the execution of a task. The fact that this link exists should be enough, without the necessity of précising its importance and its length, the category should be given when the break of the relation between the activity and the disease is not accredited. This should be an exception when the relation is very evident, which does not happen now, so the judgement did not infringed any precept, but they were correctly applied, when it was confirmed with the dismissal of the appeal which was brought”. So, we know that while the epidemiologic evidence is showing us that preparing an area without any relation with asbestos or with port work is enough. However, the mesothelioma rate which corresponds to the neighbours of the port -sometimes even affecting their pets- it is statistically giving an evidence the reality of the reason. Nevertheless, in the judgements such as the one we have mentioned, it is considered by the judges that the fact of having working as a dockers and end up suffering from mesothelioma, which is a very rare disease in the general population and has got a cause almost exclusive in asbestos, which is a raw material and appears in several works of loading and unloading goods (pure asbestos or products elaborated with it) and has been present in the most various ports of the world, including the Spanish ones. However, this is not enough to deduce the causal connection in terms of probability and not absolute certainty. A high probability is the realistic way that should be required because if the contrary is pretended, it would suppose the immediate dismiss of the imaginable situations. At the same time, we can find a “coincidence”: since in Spain people litigate in relation to asbestos-related pathologies (which surprisingly does not date from many years ago if we take into account the fact that mesothelioma does not appear in the judgements census of the Consejo General del Poder Judicial (Judicial Power General Committee)(C.G.P.J) web until 1997), we can find a considerable number of litigious considered by dockers or their relatives because of diseases which appeared as a consequence of asbestos exposure, as we will see forward in this text. Next, we analyze the judicial resolution STSJ CAT 3309/2005, which corresponds to a petition appeal which was brought by the Instituto Nacional de la Seguridad Social (Social Security National Institute) (I.N.S.S), against a previous resolution, which was in favour of the right of compensation of the wife of a docker from the port of Barcelona who had died from a adenocarcinoma broncho-pulmonary neoplasia which has been described as an occupational disease because of asbestos exposition during the time he was working. The claimer was a smoker of 20 cigarettes per day since his youth. This occupational disease appears in our set of laws in the table of occupational illnesses which is annexed to the decree 792/61 from the 13th of April. It organizes the insurance of the occupational diseased in section f) of systematic illnesses such as the illness which derivate from the professional risks of the production of fibre-cement, among others. On the other hand, the RD (Royal Decree) 1995/78, in the table of occupational diseases, in section F of the annex, establishes the lung carcinoma because of asbestos related with the jobs which are exposed to the inhalation of asbestos dust. According to the INSS (National Institute of Social Security), in order to determine the mentioned occupational disease, it is necessary to prove the exposition of the cause during a long period of time to the agent substance, which has been proved in this case, sixth fact, but it is also precise that the plaintiff proves that exposition to asbestos has been determining in the death of the claimer. In the case of the decree, the first issue that should be noticed is the fact that the death occurred fourteen years ago because of an adenocarcinoma broncho-pulmonary neoplasia. Moreover, it is declared that the deceased was a smoker of 20 cigarettes per day since his youth. This last statement determines that the claimant, apart from asbestos exposition, whose frequency has not been even tried to prove, had a smoking habit with a lot of years of consumption. This element is also carcinogenic which can lead to the same disease which caused his death. Therefore, the judge’s conviction should be based in something more than a simple non-quantified exposition to the first aggressive element. On the other hand, the proof that the broncho-pulmonar cancer was the reason of his death is a processual obligation from the one who requests the right, so from the plaintiff (art. 217 LEC and old art. 1214 CC), which is not accomplished in the present case and because of the smoking concomitance, just with the plea and proof that he was unloading and loading asbestos, because not every person who was in contact with it develops the disease. Therefore, if the only medical report which deals with the issue cannot establish a direct relationship between the adenocarcinoma and the claimant’s exposition to the substance and it can just be induced by “statistical interpretations”, it is obvious that the cause-effect relation has not been proved, which would allow to support the hermeneutics which has been developed in the request. So, in contrast with other demands pronounced by the Courtroom, the court cannot confirm the legal running which is appealed. It is evident that the coincidence of two etiologic factors -smoking and asbestos exposition, a priori, it is not appropriate to assume that its hypothetical contribution to a situation of co-causality could have been equivalent, due to the statistics showed, it is the synergic event of concurrency of both factors, which is an increasing factor of the risk (damage probability). This factor combination has got a higher possibility, so an evident inclusion of the Word “asbestos” in the configuration of the final probability. In this precise situation, it would seem that the closest issue to law would have been to see a reduction of the compensation, but not a complete elimination. This is the least bad solution which has been adopted in other Spanish judgements in front of situations which are like the one that we have commented. 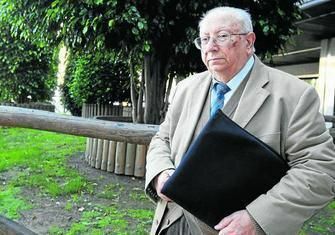 For example, another case which was solved through a compensation of 50% of its initial estimation, is the one which was applied when the worker was smoker and drinker: Audiencia Provincial de Barcelona (Barcelona provincial Court), 16th May 2006, a worker of the company “Uralita” who died from asbestosis. About this judicial resolution, it is appropriate to highlight the persistence which I.N.S.S put when appealing systematically all the consecutive occupational diseases recognitions and they always alleged their supposed condition of usual illness when we are talking about mesothelioma, asbestosis, larynx cancer (for example: judgements STSJ CAT 4157/2006, STSJ CAT 6186/2006, STSJ CAT 12911/2009 y and SSJ CAT 8408/2010, which correspond to four cockers who had an unfavorable verdict) or lung cancer, etc., and whatever the working situations in which the exposition could have been generated are: port docking, shipyard, asbestos-cement industry, etc. These has been promoted by an official organization whose functional law postulates that among its obligations we can fins the one of safeguard the workers’ interests. An official organization that has always been dependent from the existing government in each opportunity and with independence of the political direction which could have had the ones who have alternated the nation government exercise. Apart from what it is reflected in medical literature, Spanish judicial judgements make it clear the high prices the port dockers paid because of the use of asbestos and not always in a closed area. Generally, there are a lot of Spanish judicial verdicts related to asbestos and particularly to mesothelioma. However, we find a lack of familiarity with the topic, like the one which is transparent through the incorrect use of the terms for example in the sentence STSJ CAT 4539/2006 that talks about “peritondo and mesotelima” (peritoneal and pleural mesothelioma). In this work, we commented, for example, in a specific Spanish judicial judgement, the famous epidemiologist Sir Richard Doll became, mysteriously “Sir Juan Antonio”. There are numerous Spanish companies with evidence of affectation among their workers because of their occupational asbestos exposition. However, they have never appeared registered in the compulsory register called “R.E.R.A” (Registro de Empresas con Riesgo por Amianto) (Asbestos Risk Companies Register). Among this companies we can find the Company named “Sociedad Estatal de Estiba y Desestiba” (Loading and Unloading State Society). This fact is even more notable if we consider that the company belongs to the public sector in Spain, as its name indicates. They justify it saying that the Company does not do directly the Works, but they subcontract other firms, but it is true that it has been declared responsible in several judgements. Therefore, we can see that dockers trade unions have got enough reasons to deal with the interests of their own members, the dockers, but also to ask them to boycott the use of asbestos because, even though nowadays asbestos is shipped in hermetic bags made of plastic which placed inside closed containers which reduces the risk for those one who use it in loading and unloading activities in the traffic or destination ports of the maritime shipping, it is true that when so numerous tonnages are manipulated, statistically, it is foreseeable that a certain percentage of unexpected situations may happen where the control of the manipulation conditions could fail in an unpredictable way. However, because of altruistic solidarity, we understand that being indifferent of the consequences of a necessity cooperation which is clearly an economic activity which has a questionable ethics if we look at the effect which come from it and we will revise next, it is not ethically defendable. All available epidemiologic and experimental scientific evidence show that to unleash mesothelioma, low minimum doses and brief sporadic and unique expositions are enough, as it is proved epidemiologic data which evidence the contagion around the industrial centres of contamination (dockers, loading docks, port areas, asbestos-cement factories, brake reparation garages.). This affects neighbours who had never worked with asbestos and even the pets which live in the same area. There is not a minimum dose, below which we can consider that the use of asbestos is safe, including chrysotile. See: (3). Such evidence show that asbestos, in all its varieties, apart from being an occupational health problem, is also a huge public health problem, with million tons of asbestos installed in the general environment and with a special incidence in the urbanised and industrialised areas. These characteristics determine that the use of asbestos, in all its varieties, including chrysotile, in satisfactory safety conditions, turns out to be an intractable problem unless through the universal prohibition of its use. The so called “safe use” and/or “controlled used” of asbestos, including chrysotile, is a huge fallacy which is proclaimed by asbestos industry pressure groups and particularly by its mine industry, as it has been demonstrated by the facts because of the affection continuity, even in the countries called “First World”, such as Canada, despite of their technological development level, it can be considered as unbeatable. See: (4). Asbestos industry has reacted facing the extension of the number of countries which have adopted the prohibition by practicing a strategy of a transnational transference of the risks, orientating their exportations to the new markets and through the settlement of the industries in developing countries, where the hygienic and precaution conditions are precarious or non-existent. See: (5). Legal aptitudes of the prohibitions, which were adopted by several nations, as it is the case of the European Union, suffer from the serious flaw of allowing exceptions which presuppose that in other geographical areas, asbestos use must continue, extracting it because if this situation did not exist, it could not be imported from any origin and, at the same time, these exceptions are only explicable in a worldwide environment of an absence of a general prohibition. If it was so, these exceptions would be economically impracticable because they would not be enough to maintain a chrysotile mine, so they build a clear example of the double-standards because legislations are made based on exceptions which only make sense under the statement that the prohibitions must not be generalised worldwide. See: Giannasi (2005) & (2007). The most notable exception is the one considered in favour of chlorine industry, which has not been an impediment to classify as “non-occupational” a mesothelioma suffered from a worker of this industry: Whitwell & Rawcliffe (1971). The exception is even less justified when we realise that we have got alternatives for the use of asbestos since long time ago: Nawrat et al. (2007). In fact, one of the industrial sectors involved in occupational asbestos chrysotile exposition is chlorine industry. It has got a clear exception in the legislation about the prohibition of asbestos in the European Union. The successive chrysotile importations which have as a destination these type of industries in the European Union, can also be mediated by earth, but also by water and when this happens, either in Hamburg, Ambers, Valencia, Algeciras, Barcelona, Bremen, Aarhus, Cagliari, Felixstowe, Gibraltar or in other European port, dockers would be the ones who manipulate these chrysotile loads. We will take this into consideration forward in our article. Obviously, this circumstance of chrysotile manipulation by the dockers in the most varied ports of the world, has been determining in mesothelioma appearance because of occupational exposition in this industrial sector. See: Bonneterre et al. (2012), Egilman (2005), VanPeenen et al. (1980). The simple extension of the number of nations which have adopted the prohibition does not stop people (investors, stockholders, members of the administrations councils and of the leadership of the multinational companies), legal people (banks, investment funds, transnational companies) which are based in the countries with the prohibition, continuing to be receivers of the dividends which some from the criminal activity related to asbestos industry, its extraction, shipping and industrial use together with that local prohibition and with an externalization of the lethal risks which are generated. To sum up, it concludes in a situation of double standards where the prohibition, the use of asbestos and the settlements and the receivers of the economic benefits live together in the same areas. See: Shleynov (2010 -2 refs.-). There are several situations to which we could attribute the reproach of the double standards, but it is appropriate to highlight two of them because of their importance. Firstly, governments who maintain asbestos prohibition in their territories, but they do not oppose to the fact that the holding centrals of asbestos multinationals are based in the same territory, where the benefits originated by asbestos production, which is based in the countries where the prohibition is not present, flow. The same happens with the financial entities which have a participation of the capital in the industries which extract, commerce or produce asbestos. Financial entities which in some cases (South Africa) are just continuing asbestos mine when this activity is prohibited in the mentioned country. Secondly, this reproach is also applicable when the ports of the countries with the prohibitions, give their logistic eases to make asbestos commerce possible until the destinations, where asbestos is prohibited. Could you imagine anything similar referring to, for example, the traffic of narcotics? We consider that even though when it would be preferable that the nations adopted a general agreement of prohibition which guarantees the appropriate economical and protection attention for all the workers affected by the situation of definitive unemployment which would happen because of the worldwide prohibition. However, what has been proved thorough a lot of years of fight to achieve this prohibition, the truth is that it does not progress vigorously and the chrysotile industry is against it together with a lot of public administrations, in productive countries and also in the countries which receive extracted chrysotile. They defend their economic interests above the thousands of death people who have died because of its commerce. Worldwide DOCKERS UNION TRADES, even just with the defense of the health and the life of their defendants, play a very important role in this issue. Nobody should be forced to do actions which are going to cause thousands of deaths. It is this situation the one that must be considered to understand why, instead of analyzing the good aspects of a controlled closing of asbestos industry- which we think it will not be permitted-, we should emphasize the opportunity of a sustained attitude of civil disobedience by the dockers which must manipulate asbestos-cement when doing activities of loading and unloading and marine shipping worldwide. It is appropriate to remember that the Danish and Japanese marine companies rejected to ship chrysotile according to what Annie Thebaud-Mony (page 667) showed in the “Rapport fait au nom de la Mission d’Information sur les Risques et les Consequences de l’Exposition a l’Amiante” – Nº 2884 – 22 février 2006, aderessed to the Asamblea Nacional de Francia (France National Assembly). In our bibliography: ASSEMBLÉE NATIONALE (2006). Related to this topic, we must mention that, in contrast with what happens in Spain, where the claims because for mesothelioma and promoted by the workers who did loading and unloading works are brought against their employers, the societies which are involved in the port activities, on the contrary, in other countries it is comer to direct them against marine companies which own the ships where asbestos was shipped. Therefore, they start to be the interested part in the fact that the marine shipping of chrysotile is not done or it is done with the specific security that the service will not be a risk of future exigencies of economic responsibilities. The possible obstructive actions of the ecologist activists, which are directed to the same purpose, could contribute to the same goal. If this ideal could be accomplished, we would be closer to obtain a virtual universal prohibition of the use of all types of asbestos. In fact, until now, dockers have played the role of necessary and indispensable collaborators in this criminal commerce of asbestos, which is responsible of the death of thousands of people, basically workers, but also their families -contaminated by working clothes- and also neighbors of the pollution focus (including loading and unloading docks in the ports) and even the users of the products produced with asbestos, including chrysotile. Consequently, we claim publicly to all DOCKERS UNION TRADES and to their “International Dockworkers Council” (IDC), and also to the “Confederación Sindical Internacional” (CSI) (International Union Trade Confederation) that they must promote facing their members and their companies their serious decision of stop collaborating in the criminal commerce of asbestos giving to the receivers of the benefits the following message: if they want chrysotile to be loaded and unloaded in the docks, they should be the ones who do this work. The proposal does only concern riverside countries which have port facilities susceptible of being involved in asbestos commerce or in the commerce of the main product elaborated with it, the products with asbestos-cement. The same common proposal is applied in the most diverse geographic scenarios, each one with its respective socio-economic, political, democratic quality, human rights respect, etc. features. We cannot expect that the initiative can reach the same range of positive and efficient response. This is why, we expect a relative success in different ranges, so the maximum that should be expects with this ideal worldwide boycott is to cause a more or less serious disturbance in the world market of chrysotile. However, as we will see next, this minor goal which is less presumptuous can mean an important landmark in the long protest to the total eradication of the industrial use of asbestos worldwide. Regarding at the variety of nations it is evident that the territory where it would be easier to success are the nations which have already adopted the prohibition (in general terms), as it is the case of the European Union. These areas are precisely where exceptions in favor of chlorine industry are accepted. Here, the step could start to show its efficacy when being determining for a stoppage, in fact, of the supply of this raw material to the chemist industry. If this partial and initial goal might be reached, it would justify itself the boycott implementation. Among the same European environment, the step could affect the shipping of asbestos through the European ports, with an origin and destinations which are outside the countries where the prohibition is prevailing. The ideal and desirable aspiration should continue being the total stop, or the maximum that could be reached, of this lethal commerce. Those who see what it is invisible, make the impossible, possible. Acheson & Gardner (1979), Andrion et al. (1994), Berry (1994), Camus et al. (1998), Case (1998), Case et al. (1997), (2002) & (2011), Case & Dufresne (1997), Chaturvedi (2000), Chaturvedi & Chaturvedi (2001), Churg (1988), Churg et al. (1984), Churg & Wright (1989), Courtice et al. (2016), Dement (1991 -2 refs.-), Finkelstein & Meisenkothen (2010), Freeman & Kohles (2012), Harington (1992), Hughes (1994), Huncharek (1994), Kanarek (2011), Langer (1998), Le Bouffant et al. (1985), Lemen (2004) & (2010), Loomis et al. (2012), Meisenkothen (2013) & (2014), Mirabelli et al. (2008), Nicholson (2001), Nicholson & Landrigan (1994), Peto (1980), Piolatto et al. (1990), Pira et al. (2007) & (2009), Ren et al. (2013), Riboldi et al. (2004), Sluis-Cremer (1988), Smith (1998), Smith et al. (1989), (1990) & (1996), Sokas (1998), Stayner et al. (1996), Tilkes & Beck (1989), Wang et al. (2014), Woitowitz & Rödelsperger (1991), (1992) & (1994), World Health Organization (1998), (2006) & (2014), Yano et al. (2001), (2009) & (2010), Yarborough (2006) & (2007). Amendola et al. (2003), Backer et al. (2001), Barbieri et al. (2012), Burdorf et al. (2004), Croft (1983), De Nardo (1996), (1997), (2003) & (2004), Harbison & Godleski (1983), Inase et al. (1991), Kang et al. (2009), Kumagai & Kurumatani (2007) & (2009), Kumagai et al. (2010), Kurumatani & Kumagai (2008) & (2011), Magnani et al. (2001), Mensi et al. (2015), Musti et al. (2009), Ramis et al. (2012), Rom et al. (2001), Sinninghe Damsté et al. (2007), Szeszenia-Dabrowska (2004), Tarrés et al. (2009) & (2013), Whitehouse et al. (2008). Aguilar Madrid et al. (2013), Attaran et al. (2008), Bridle & Hoskins (2011), Meisenkothen (2014 -2 refs.-), MiningWatch Canada (2006), Soskolne (2013), Soskolne & Bates (2006), Soskolne & Ruff (2012), Brophy (2007), Brophy et al. (2007 -2 refs.-), Egilman et al. (2003), Lee et al. (2008), Leuprecht (2011), Lippel (2010), Marret et al. (2008), Martin (2007), McDonald et al. (1970) & (1973 -2 refs.-), McDonald & McDonald (1973) & (1980), Ruff (2008 -2 refs.-), (2012), (2013 -2 refs.-), (2014 – 3 refs. ), (2015) & (2017), Ruff & Calvert (2014), Ruff et al. (2011) & (2016), Sentes (2009), Spruce (2010), Spurgeon (2008) & (2010), Sullivan (2010), Teschke et al. (1997), Villenueve et al. (2012), Bitonti (2009), Calvert (2010), Collier (2008) & (2009), Dummer & Gotay (2015), Egilman & Menéndez (2011), Grant (2014), Guidotti (2001) & (2012), Kirby (2010), Krupoves et al. (2007), Joan Kuyek & MiningWatch Canada (2003) & (2004), Laborda (2016), Mallinder (2011), MiningWatch Canada (2006), Ogden (2008) & (2009), Rubin (2003), Schneider (2011), Sharpe & Hardt (2006), Shugar (1979), Stayner (2008). Aguilar Madrid et al. (2000), (2003) & (2010), Choi et al. (2013), Gavira Sánchez et al. (1986), Jeyaratnam (1990), Park et al. (2009), Thébaud-Mony & Pezerat (2005), Brennan et al. (1983), Castleman (1979 -2 refs.-), (1983), (1984), (1995), (2016) & (2017), Castleman et al. (1981), Castleman & Navarro (1987), Epelman (1992), LaDou (1992), Landrigan et al. (1999), Levy & Seplow (1992), Menkes (1998), Navarro (1984), Sellers & Melling (2012), Suttles (2002), Tweedale & Flynn (2007), Zazzara & di Orio (2013).